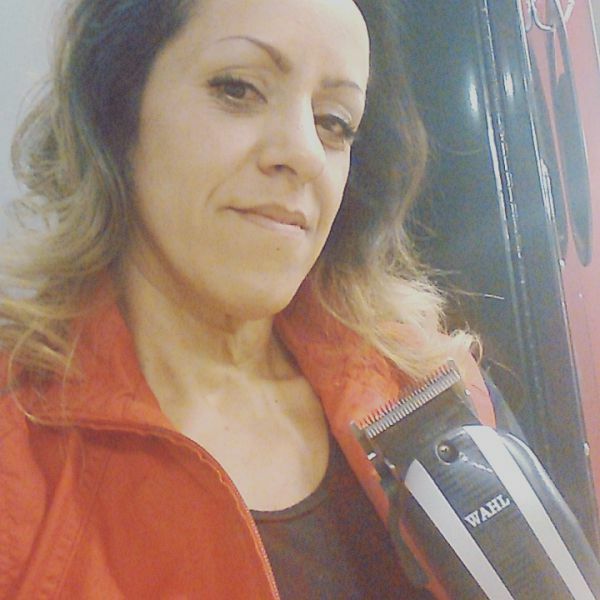 Barber/stylist in Downtown Los Angeles. I'm an avid writer happy to review companies, good and bad. I'm tired of getting burned, poor customer service, and low quality products. Aren't you? I also need to give credit where credit is due. Check out my reviews. I happened to find this companies site while searching for security companies. I made the mistake of providing my phone number. They called within seconds. It was a man with a middle eastern accent. His accent was so thick I couldn't understand a word he said. I asked for someone else and was passed to another personI could barely understand. It sounded like a good deal so I agreed on the service. The next day they call me to scold me about not paying my current security company. I explained that they aren't protecting me and I'm trying to find a better company. He said he had to talk to his supervisor and he would call me back. At that point I decided I didn't want their service. The foreign man had a rude tone plus I hated that I couldn't understand them. For the next three days they called at least 20 times an hour, ignoring my employees telling them I was busy, or not there, and not interested. They interrupted me while I was cutting and coloring hair. They even called from other numbers. Finally, they called from a local number and got me on the phone. They made an even better offer and told me I qualified. I gave them my information thinking I was opening a security account. I was told a technician would contact me shortly. Instead, they checked my credit without my permission. I don't have good credit and I told them that. But they went ahead and took points from my credit score. I never heard from them again. They are obviously not located in America. They're rude and crooked! I saw an ad for $4.99 framed canvas prints. I ordered a few. They're definitely worth the price. I have had custody of five other kids besides my own three. Printing pictures can be expensive. Now my walls are filling up with new family pictures including all those kids. It feels like family now. This card was offered as a payment method for tax returns. It's trash! Serve.com sent me two emails a day telling me to enroll in direct deposit. It was confusing because I was supposed to get my check directly deposited anyway. As it got closer to when I was supposed to receive my checks, it got extremely annoying! Now I got my refund and I can't use this card anywhere. I tried to pay bills, no-one accepts it. I tried to withdraw money from my bank and its ATM. No deal. I can only withdraw up to $400 a day from certain 711 stores. The MoneyPass app you need to download and use to find compatible ATMs is also trash. They lead you to little hole in the wall places that almost don't exist. I couldn't find one open. My other option is to drive an hour away to the nearest Wal-Mart, stand in line for hours and supposedly withdraw up to $2900 a day. I hope my contractor doesn't mind getting paid in payments. I hope I don't lose the cash. Yesterday I spent several hours trying to withdraw money. I went to one Wal-Mart, stood in line for 30 minutes only to be turned away. They said the card wasn't allowing me to withdraw any amount of money. I called the Serve customer service number for the 5th time. Those operators are clueless. She kept asking me if I want a new card or to change my pin. I kept explaining to her, as I did others, that I need to withdraw all my money at once. She said there was nothing wrong with my card. I got transferred over to American Express, waited 20 minutes and when someone finally answered, they couldn't hear me. They hung up on me. OMG!! I lost my sanity at that point!!! I drove another 45 minutes to the next Wal-Mart. I figured something was wrong with the system. Same problem. I asked for a supervisor and was ignored. I called Serve again. I got a rude operator and argued with her for a while before she finally told me about the RIA money pick up. Its not called a withdrawal, so nobody knew what I was talking about. Like I said, clueless!!! So, the Serve website says you can receive up to $2900 a day. Not true. You can only get $2500 at a time. Wal-Mart's prices to "withdraw" money and cash government checks are significantly less expensive than using this card. My plans have been put on hold. I've wasted so much time and gas on this card. I can't transfer my money into my bank account where I can withdraw it for free. It pushed me into an emotional breakdown! I will NEVER use or recommend this card again. As a matter of fact, I'm taking the American Express stickers out of my shop window and will no longer accept American Express at my place of business. One photo is a screen shot of the serve website where it says you can send yourself up to $2900. That's a lie! The rest are in order as you search for a way to access your money. One shows the balance with no options. You have to figure it out yourself. Then you get some vague options. Look at the silly name for the option I needed. When you click on ATM withdrawal, it requires you to download an app that doesn't work. Bottom line, Serve.com and its products are trash! Mejor no compras de Curacao. Te van a mandar basura y no revuelven el dinero. Van a poner demaciados markas negetivos en su credito. Mejor no lo hagas! Hay negocios que no roban a la jente. You're better off not purchasing anything from Curacao. They'll send you trash and will refuse to give you a refund. They'll put tons of negative marks on your credit. Just don't do it! There are honest businesses out there. If you buy something it will be broken or it will break soon and they will not honor their warranty. They will not replace it. They will not give you your money back. If you refuse to pay for the faulty item, they will go above and beyond to ruin your credit. They add false remarks to your credit and renew it every year as if it just happened. These are the crooks Trump is talking about. Too bad they are already here in the impoverished neighborhoods strong arming innocent people. They even go into other poor neighborhoods and sit in front of Food 4 Less, wearing diamond studded bumble bee shades, recruiting poor innocent people into signing up for credit. This business is a pot full of crabs ready to pull people down into the boiling liquid. I see their ads everywhere. I have searched their site several times only to find trash. Most of the stuff they sell is cheaper from a brick and mortar store. They have no good name brands. But, today I saw an ad for 2 for $24 advertised add a cyber Monday sale. I clicked on the ad, interrupting my precious game play, only to find a shady sale. Apparently you have to buy two of the same item to get the 2 for $24 so called deal. But the price for one is less than $10. What??? My daughter fell for their scam and got a few items. The tops are the cheapest, thinnest material you can find. I mean seriously, I can get that stuff down the street at the mini indoor swap meet. I didn't order. I'm no fool! I applied for several positions at several locations. I waited months. No response. I know people who work there and am often told how desperate they are for employees. I finally went to a hiring event, dressed for success. I was hired on the spot. I waited three weeks for an email, eventually in tears. I attempted to contact them with no success. In the meantime my friends are giving me the inside scoop. They accidentally hired two people for the same position. They were supposedly waiting for a "BETTER" position for me. I finally accepted a two week position somewhere else, thinking the job would be there when I was done. I got a call one week into my job and they want me to drop everything and start immediately for another minimum wage position. I couldn't even get past the registration process. It kept taking me back to the registration form with no explanation. Aparently it's a site for free lance work. The problem I've had with similar sites was being targeted by scammers. They contact you as if they want to initiate business, then use your information to send fake checks, hoping you'll cash them, thinking it's your pay, and requesting for you to send half the money somewhere. But I can't tell if that's going to happen here since I couldn't get past page 1. This site is used by companies for their hiring process. So far I've been emailed with an invitation to an interview but it was addressed to another name. If course I applied to several stores and couldn't figure out which one the email was from. Going back to adp to find out which store it could have been didn't help. After going to the wrong store and showing up 45 minutes late, I was still hired. I was sent another email with a benefits package and documents I was supposed to fill out. I click the link that took me back to the adp site. But instead of the necessary documents, I get an error message (checking from my phone). I go to my laptop and was completely unable to find anything from the store that hired me. The email said I started work 2 days ago. Wow!! To top it off, I didn't even mean to apply for the location I got hired at. The one I did want to apply for never received my application. I'm trying to get a temporary position in a Halloween store. But Halloween is going to pass me up. They allow false and defamatory reviews to remain visible. They ignore requests to remove it and don't give the business owner an opportunity to explain. I have a review from a customer blaming us for his illnesses when it's medically impossible for him to have contracted that at my business. Google refuses to remove it. The poster isn't even an active Google user. This was his first and only review. It can be my competition who posted it, for all we know. I generate a lot of business from Google, but this is a business killer! I need to speak with a human from Google! I'm paying too much! My alarm went off two weeks ago and I have yet to hear from the company. I tried to contact them and was responded to by their sister company instead. Of course they couldn't help me. When I email them it gets sent elsewhere. They ignore their help requests through their website. The only way I can get any bad company to respond is through this review site. I renovated my business and need the sensors to be readjusted. So, basically, I have no service and get no help. I got a $300 fine from the police department hour a false alarm call. The alarm went off for no reason, like always, but my cell phone was dead so I didn't receive the call before the police got there. After calling the company, leaving emails, and contacting other offices, I had to drive 30 miles out, on a day I should have been at my shop. That was the only way to speak to somebody. They offered to pay half the bill and give me a couple months credit. Who needs credit from a company that doesn't work? I need that bill paid! I started to shop around and realized I'm paying $15-20 more a month for 2 star service. I could go with a 5 star company for way less. I think this contract is now void. Any lawyers out there? 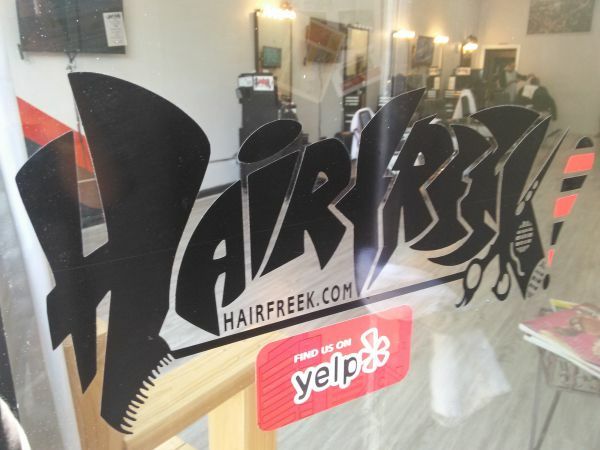 Contact me @HairfreekBarbers everywhere on the web. If you own a business and are thinking of paying for Facebook or Instagram advertising, save your money. I've been advertising with them for over a year. I've spent hundreds of dollars on advertising with them. 1) Paying for advertising doesn't bring people to your storefront. 2) Trying to resolve issues with them is impossible. I've been trying to get an issue resolved for several months. They don't respond to help requests. The number of followers you have directly effects the outcome of your advertising as friends of your followers are targeted in your advertising. I get dozens of new followers each week yet my numbers stay the same. I harassed Instagram through their bug reporting system a few weeks ago. They didn't respond to me but my number of followers finally increased by 5 followers. Then it stopped again. Now my reports won't go through. I just get an error message. I bet they'll get a hold of me when they can't collect what I owe for advertising. It's not free! I pay for services for my business. I can't wait for the class action lawsuit. I'm opting out and suing! Well, its easy to use after you've created a profile and gave it a try. I did have a hard time the first time I used it. But with 7 kids, pizza is a must. Now, I prefer ordering online. I don't have to deal with busy employees. I never have trouble with the language gap. It understands me. I can order my pizza the way I want it without misunderstandings. I always get my order correct and in a timely manner. And it has a tracker that lets you know where your pizza is every minute of its creation. Yum! I'm getting hungry! Brb! I bought a $50 razor handle. It worked nicely, but when it was time to buy the refill blades, they don't sell them. I asked for my money back for the handle ave was met with rude customer service. I've been shopping on Wish for about six months. I was very unhappy at first. The products were super cheap and took months to be delivered. But they've improved everything. I get my orders in about two weeks, now. I stopped ordering clothes and buy things I can use for my trade. They're actually pretty good quality. I'm finding stuff I don't find in stores. I found a special tool I've wanted for $1. They run $20 and up in the store. I'm a barber, I get cutting capes, towels, blades, spray bottles, barber themed jewelry, signs...They also sell bigger items like barber chairs and stations. There's nothing I can't find on Wish! First off, you cannot count on the star rating system they use. If you're trying to learn about a business, you need to read the reviews. But that's not always helpful. Most people aren't specialized in the services they pay for. For example, I own a barbershop. I face my customers away from the mirror for several reasons; one, I encourage my customers to engage in conversation with each other. Two, I face them towards the tv's. Third, we hate when customers stare at the mirror and try to touch their hair during the cut or color. But we got a bad review from a customer who swore we were hiding something. He claimed he got a horrible cut, but didn't include a picture and still paid and tipped the barber. Not a credible review, but it does effect the business. I was able to remove some similar reviews when I was paying yelp. But I cancelled my service with yelp because they were deceitful about my charges. Now they won't give me the time of day. But my business is still listed and getting reviews. Now that I know the insides of yelp, I no longer go to yelp to search anything. As a matter of fact, I haven't searched my own business in months. Yelp encourages business owners to get their business app. Then they send deceiving offers claiming you can get hundreds of dollars in free advertising. During the sign up process, they ask for the budget you agree to. Obviously, I chose a budget to match what they claim I would get for free, $300. Nowhere did it say I had to pay out of pocket or that I had to call and cancel. Two months later I look at my bank statement and find a charge for $247 debited from my account. They had my account information from a previously authorized purchase. Your listing is close to the top of the list when someone does a search on the services or products you offer. THAT'S IT!!! The person would have to search the name of your business for it to come out on top. I was so shocked at the unexpected charges. I couldn't figure out what went wrong. I disputed it with my bank, but the charge was still pending so they couldn't do anything for me. It was the first, rent and bills were due at home and at my business. I called Yelp. I thought my 7 year old pressed something and ordered some ridiculous service. Regardless, they wouldn't budge. I got no warning, no email, nothing. Eventually, I figured out what happened and remembered I had fallen for the same scam a few years prior. I spend hours advertising, including advertising yelp. I get lots of business, but rarely do I get customers through yelp. I cancelled the service and that same day I got my first bad review. It was an unknown customer who made claims that were impossible. I tried to dispute it worn yelp and the wouldn't help me. Yelp is bias and only benefits your business when you pay. Otherwise bad reviews from uninformed people, or revenge reviews are permitted. I was even extorted for free services by a person threatening to give me a bad review, later to find out that person was never a customer. I opened an account with Go Daddy over a decade ago and I can't seem to shake them. First problem was when they started changing their password requirements. They change them so often I could never remember my password. I always need customer service you help me log in. Their customer service is rude and impatient. The reps talk down to me like I'm stupid for not remembering my passwords. They're impatient and have poor communication skills. They repeat themselves sighting unimportant information over and over as if I can't hear or understand. I have completely abandoned my website due to inability to update it. Now I'm stuck having to do business with them just to keep my domain name. They advertise cheap renewal prices but don't allow you to manage the length of your renewal. They just go ahead and charge for several years. When I called about the latest robbery, the rep told me they can't give me my money back. I mentioned that I tried to pay a week ago but Go Daddy didn't allow the payment. It said it would automatically renew in a couple of days, but didn't mention it was taking three years worth of payments. The rep still asked why I didn't call sooner when he can clearly see they just robbed me yesterday. I don't have a solution right now. If anyone can help, send me a message. Netflix offers lots of great movies and programs for the whole family. We can watch anywhere. A lot less expensive than dish or cable. This place advertised all over my facebook page. Their items look cute in three pictures. I ordered 3 shorts suits for about $20 & free shipping. I got two of the same outfit inn different sizes. I normally wear a medium, but I also ordered a large. I figure overseas sizes run small. But both of them fit like bikinis! I got the third one in large. It fits like a girdle. The material is super thin! Even if they fit, it's a one time use type of item. Their clothes are cute, but you have to order 3x your size. You get your money's worth. Adelita hasn’t received any thanks yous. Adelita doesn’t have any fans yet. Adelita isn’t following anybody yet.